Expekt is one of the best online betting platforms nowadays with over 1.8 million registered users. The business was founded in Sweden in 1999 by Christian Haupt and Conny Gesar. It was one of the first online betting businesses in Northern Europe. The main focus of the company is Sweden and Poland, and that’s where most customers are. The administrative center of the bookie is located in Malta and employs over 150 people. 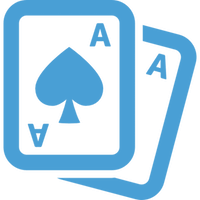 The betting platform has a long history of hardships, with the most famous one being when the poker network changed from Prima to Tain in 2005. The site lost a lot of its users due to the severe problems with time-frame imposed. In 2008, ther were a lot of rumors suggesting that the company is up for sale, and the potential customer was Mangas Gaming group. The rumors continued until 2009 when the company finally sold for 125 million EUR. It was the time when the first CEO of the company Per Widerstrom left the company, and his place taken by the new chief Nicolas Beraud. The company has put a lot of effort since to become a leading online gambling platform. With tons of great markets and competitive odds they will surely reach the top of the industry. 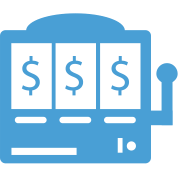 As one of the most famous betting platforms ranked in top 50 of the world’s most visited bookmakers, Expekt excellent betting options. Well-known markets like Football, Tennis, Baseball, Basketball, Volleyball, Snooker and Ice Hockey are all there. You’ll be pleasantly surprised to find that the site offers Bandy and Trotting that is very rare for a bookmaker. And while the list of sports isn’t like on a top 5 betting site you can find all the main sports there. Expekt has very easy to use interface, and you can quickly find whatever you need. Simplicity is very important when your precious funds are at stake and even a small mistake can lead to much aggravation. You will not be confused at any time, and the support of 7 languages will make you feel right at home. Casino, live casino, Vegas and poker markets are available for every player who is interested in gambling. There are Black Jack, Baccarat, Roulette, Slots and many more. The site also has the SuperScore and SuperToto options. 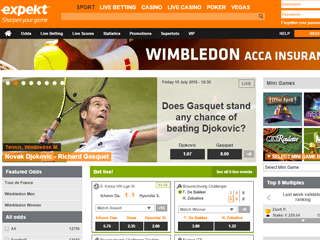 The platform offers live streaming, and live betting service is also supported and easy to use. The site loads fast and a mobile platform is also available for all famous operating systems (Android, IOS, Blackberry). Giving a wide range of odds is not the strongest side of the bookmaker but they still have a very reputable selection of wagers. Expekt offers some of the best odds amongst fellow bookmakers, especially for Premiership football online. With one of the lowest limits per bet, you can take advantage of placing a wager on half-time/full-time, double chance, draws no bet, Asian handicap, over/under goals. There is an excellent offer about first goal scorer. You can also choose Inside you’ll find odd formats are EU, UK, and the US. As a modern, top of the betting industry online platform, the company has made sure they offer a safe and enjoyable online experience to all their clients. The site offers the secure connection to users via the SSL encryption. You can always be sure that your data will not be revealed to thirds parties and will only be available to the company employees. Supported languages are Polish, Sweden, Finish, German, English, Czech, and Norwegian. Operators are available 24/7 for any question you might have about your account, bonus offers or wagers. Contacting them is done easily by email or by filling a quick online form. Employees are very polite and will try to explain everything concerning the betting experience thoroughly. Deposits can be done very easily via credit card or digital wallets There are more than 15 currencies supported with almost all major European currenciesWithdrawing money is usually done by the method you’ve transferred the money. Using the digital wallets is quicker and your receive funds in your account within 24 hours. Minimum deposit amount is €1, and maximum varies between deposit methods from €2000 to €5000. Everything about depositing money and withdrawals has been taken care of professionally. As one of the visited online booking sites in the industry, Expekt offers a very generous set of promotions and bonuses. They tend to change them every couple of months to keep the players interested and entertained. For example, if you make a new account you can get €10 free. You’ll have to rollover the amount at once at 2.0 odds to be eligible for a fund withdrawal. The current casino welcome bonus is up to £250. 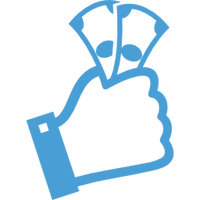 There is also an excellent offer where your first bet through a mobile platform will be refunded if it’s a losing one. How cool is that? There is also, the Multi+ promotion as well as the VIP bonus offer. Make sure you don’t miss their great offers and check them frequently.